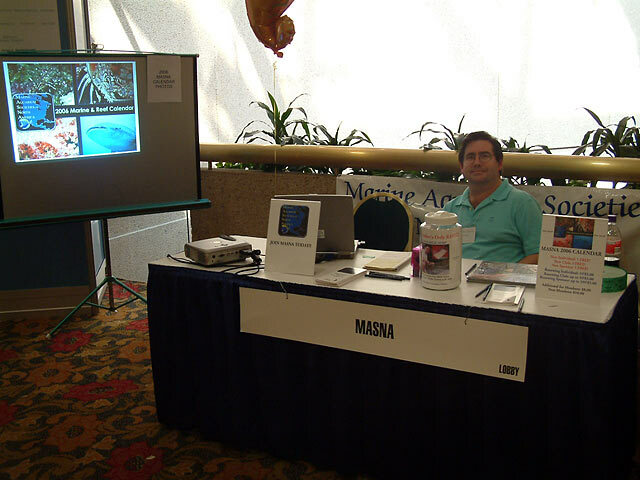 MASNA is a non-profit organization that focuses on the marine industry, education, and the every day hobbyist. For more specifics, please read What is the Purpose of MASNA? in this newsletter on page three. Each year, MASNA's Board of Directors consider all applications submitted by clubs hoping to host the Marine Aquarium Conference of North Ameria (MACNA). 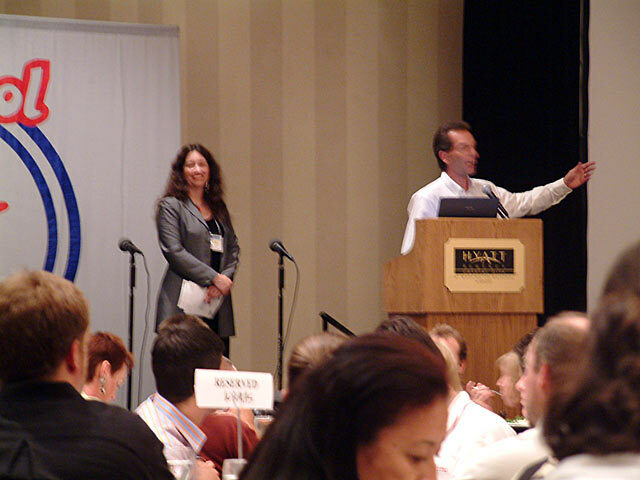 At the annual meeting, MASNA members come together to discuss what has been accomplished and to set goals for the new year. Annual elections are held that day as well. 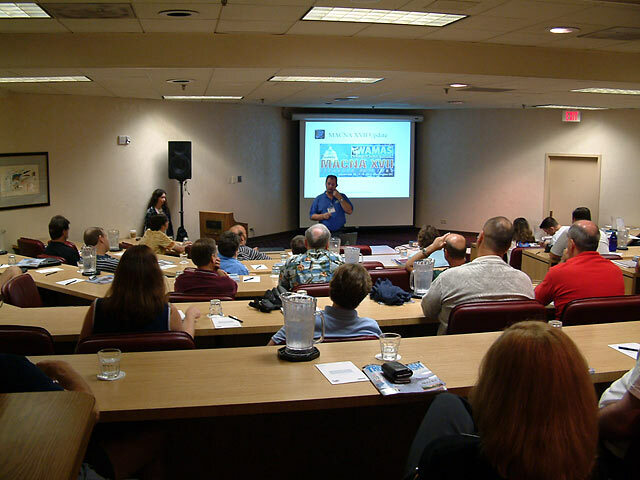 MASNA members and the BOD listened to each subject being discussed. 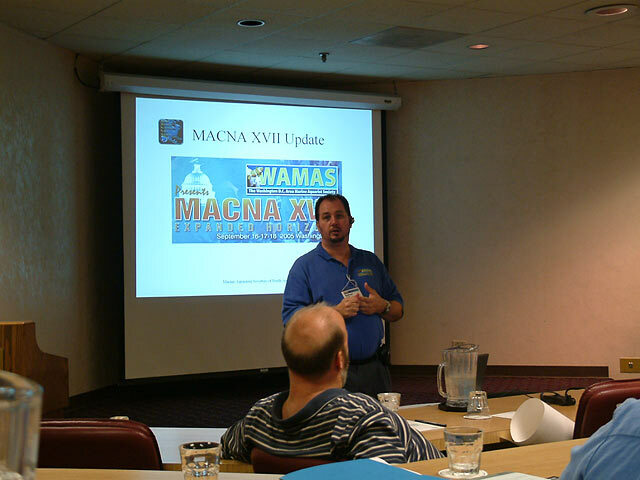 A representative of WAMAS gave the members the latest information about the status of MACNA, which official began an hour later. 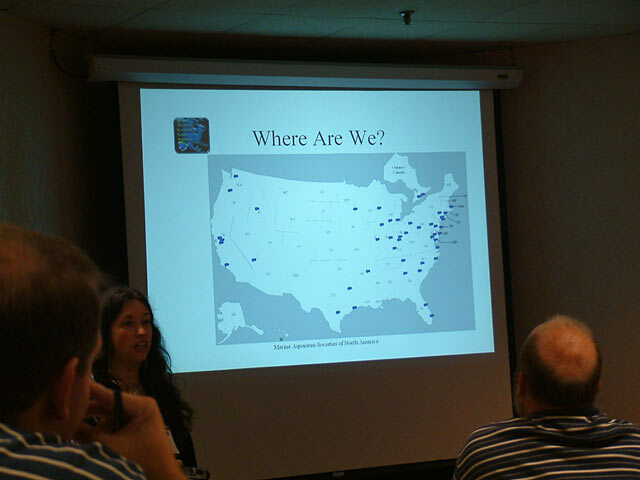 This map shows were all the MASNA-member clubs are located in the U.S. One goal is to get this map on the MASNA website, and another is to get more clubs to join MASNA. 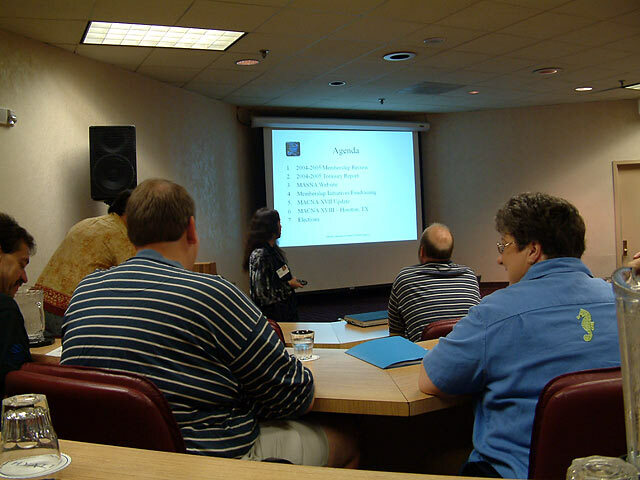 Using a powerpoint presentation afforded a better method of keeping everyone on topic. 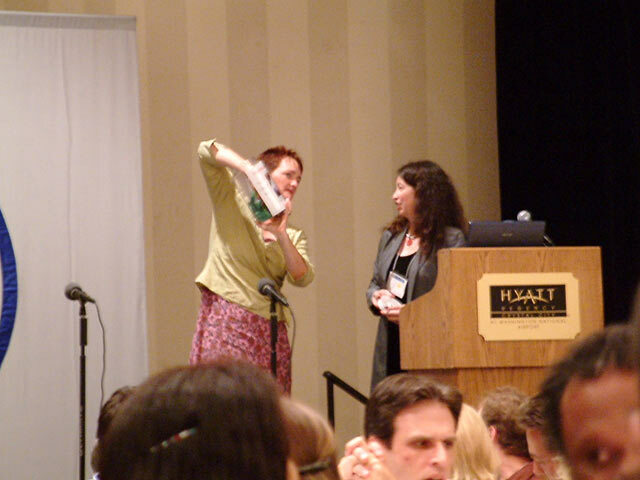 Cheri, president of MASNA, kept things moving nicely. During the conference, MASNA had their booth staffed at all times. This allowed individuals or clubs to join MASNA, and one perk was that every member received a free raffle ticket to win a custom-made sump by me. :) The new MASNA calendar was available for purchase as well. It really came out beautifully. During the conference, the images from the calendar were projected on the screen nearby. Saturday night was the Gala dinner, and about 500 people enjoyed a very good meal. Chicken & fish was the entree. 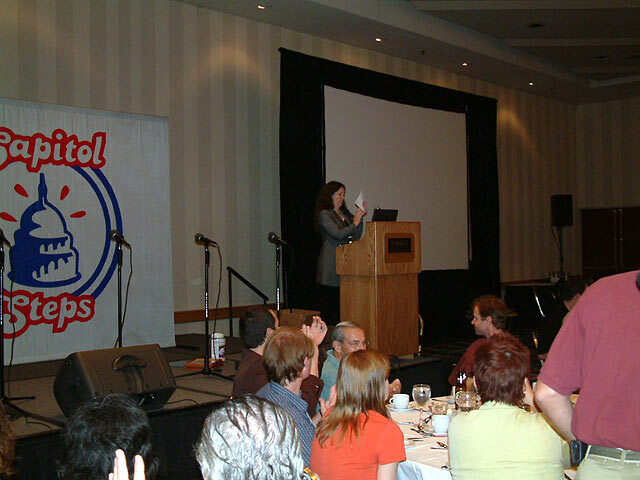 Once everyone had eaten, coffee and dessert had been served, Cheri began to present the various awards for the past year. 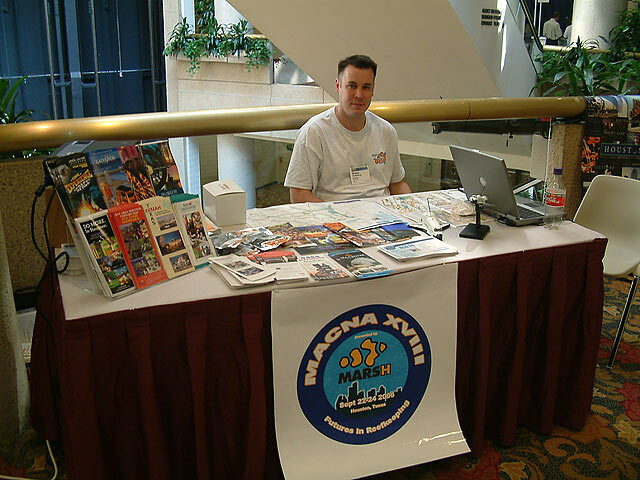 This included the MASNA award to Bob Fenner, awards to three clubs for their club websites, and prizes to those that won for their submissions to the 2006 calendar contest. 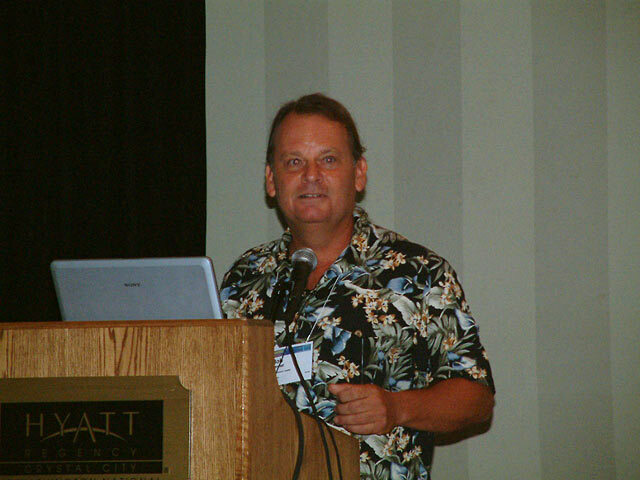 Bob spoke after receiving his award. A little better image from a different session. Man, give me a coral and I can take its picture. Put me in a room with lower lighting, and all my pictures are horrible! The raffle drawing was next, and a member of SEABay won the new acrylic sump. 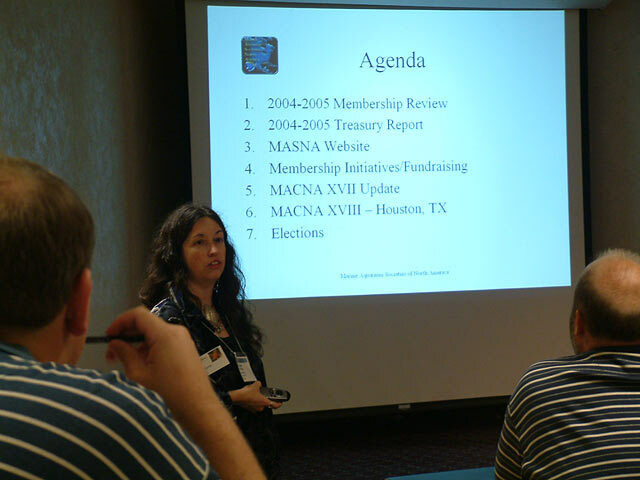 Next, one of the MARSH BOD spoke about MACNA XVIII (MACNA 18). 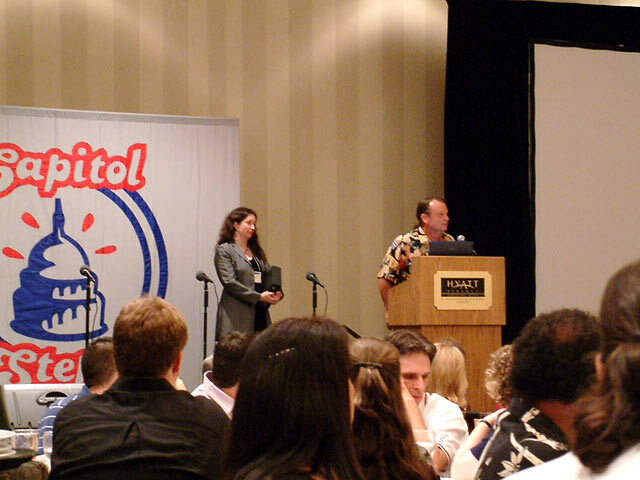 After that, we had a short break, then a very funny comedy group called Capitol Steps had the audience roaring with laughter.